Date: 23-07-2018 This petition was called on for hearing today. 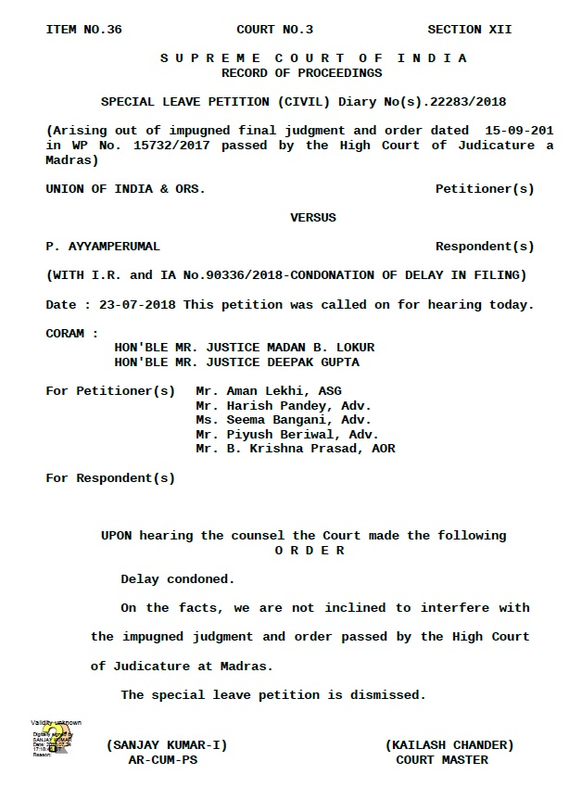 On the facts, we are not inclined to interfere with the impugned judgment and order passed by the High Court of Judicature at Madras. The special leave petition is dismissed.